Brighton & Hove has 150km of public footpaths, bridleways and byways. These paths stretch from the sea, through the city and out into the South Downs National Park, all forming part of the UNESCO Biosphere – The Living Coast. 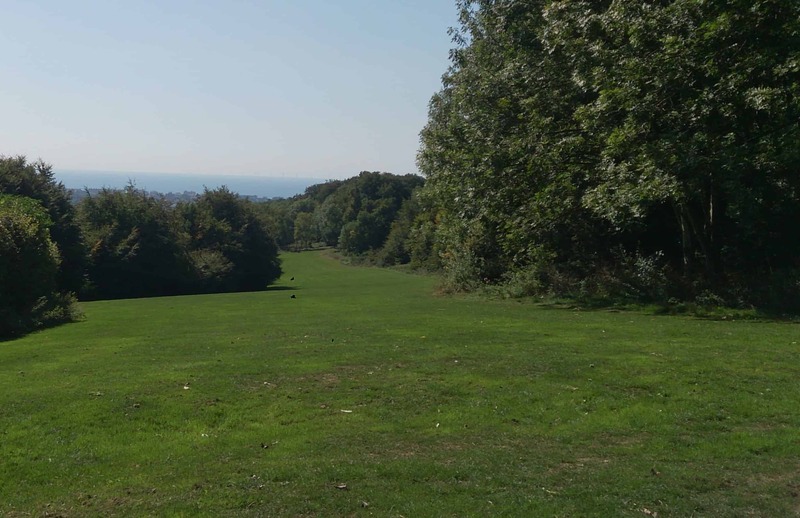 As part of Brighton & Hove Council’s scheme, to help support the local Park Rangers to monitor and maintain public pathways; White Rabbit is now the official Path Warden for the footpath in Three Cornered Copse, Hove’s largest woodland. Brighton & Hove City Council is responsible for the public rights of way around the city: footpaths, bridleways, restricted byways and byways open to all traffic. The council is also responsible for rights of way in the South Downs National Park, if they fall within the authority boundaries. The council has duties under the Highways Act 1980 and the Wildlife and Countryside Act 1981. To make sure that all rights of way are free from obstruction and other nuisance preventing or deterring the public from using a path. This includes sign posting, vegetation clearance, surface improvement and maintaining, enhancing and promoting the existing network. 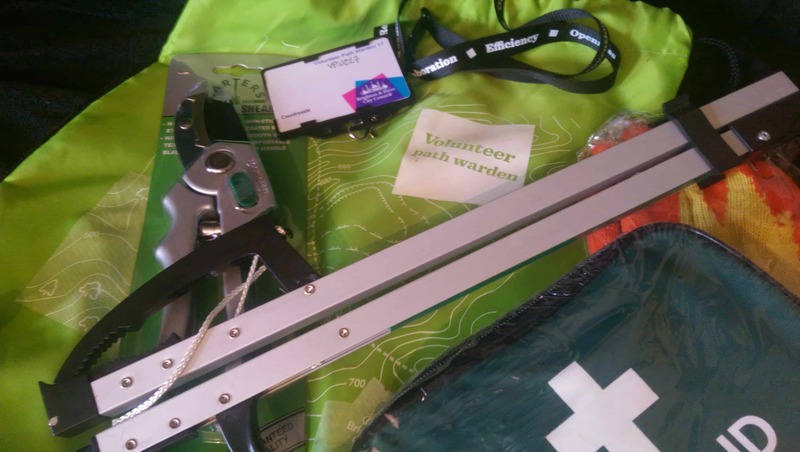 Beyond the basic responsibilities of a Path Warden, we have also created and host a digital form, for all the wardens involved in the scheme to submit their surveys. Until this point the only way to submit surveys was to download and print out a form, that the council had to send out 4 times a year (or provide a hard copy). Now the wardens can simply visit the mobile friendly web page and fill out the online form. They can even do it when they are on site, saving council resources and everyone’s time. The aim of the council’s Adopt-a-Path Scheme is to help increase people’s use and enjoyment of our public rights of way network. People who use the same paths regularly are encouraged to join the scheme. As a minimum members survey the route at least 4 times a year (once in every season). The Volunteer Path Warden scheme encourages volunteers to adopt paths they use regularly and assist with their upkeep; to ensure they are open and accessible for everyone, creating healthier and happier communities. Three Cornered Copse is a hidden gem in the built up residential and urban area of upper Hove. The copse is a triangle of land, partly wooded and partly open grassland. It climbs the North slope of the Goldstone Valley, creating a valuable woodland corridor for wildlife, from Hove Park to the South Downs National Park. Used by native and migratory birds; besides other local wildlife, human residents and visitors alike. Find out more about Three Cornered Copse at the Friends of the Copse website here. 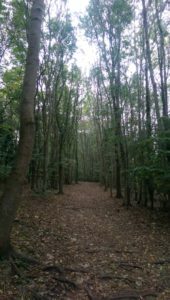 Used regularly by walkers, joggers, cyclists, dog walkers and horse risers; the copse has both a public footpath and public bridleway, from the entrance at the bottom of Woodland Drive to the top of the copse at Dyke Road. Stretching approx. 1.2km end to end, the footpath covers sections of both the wooded area and the open grassland. White Rabbit is keen to give back to the local community, especially when urban wildlife and nature is involved. Providing time and resources to local projects that improve and better the environment for all; and relieving much needed local council budget. An added bonus is getting away from the computer screen and out in the fresh air, for a healthy walk. Working closely with members of Hove Civic Society, the group responsible for Hove’s latest art installation; White Rabbit has been providing support for Hove Plinth, in the way of digital technology. One aspect of the project has been to integrate NFC Tap ‘n’ Go functionality, into the display board on site. Allowing visitors to simply tap their phone against the display and interact with the artwork. There will be a blog post about that in the near future. If you’re stuck indoors on a rainy day, don’t want to brave the wind on Hove seafront; or for those who simply aren’t fortunate enough to live nearby. 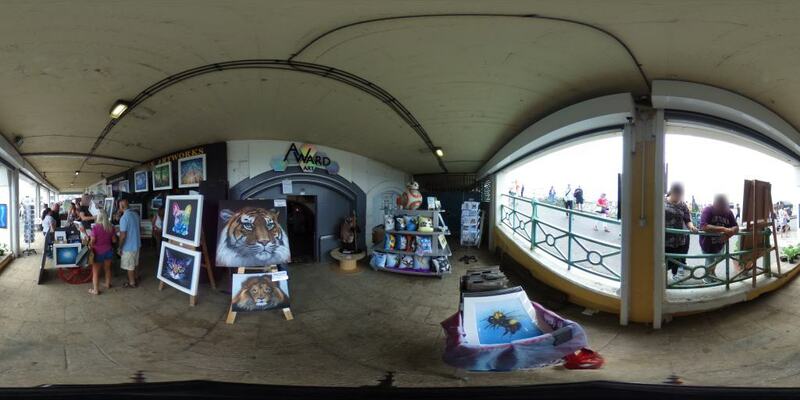 White Rabbit has also created a virtual tour of Hove Plinth! Available to see on Google StreetView and also directly here. Experience the Plinth and the 2018/2019 artwork ‘Constellation’ by Jonathan Wright in all its glory; right from your armchair. Use a VR headset with your phone and go full screen, to create a truly immersive (virtual) outdoor art experience. Hove Plinth is a community project, creating a cultural attraction on the historic Hove seafront. The Plinth will bring exciting new public art installations to the city; therefore showcasing a changing programme of the best in modern day sculpture. Major works will stay on the plinth for up to 18 months, after this some will be moved to sites in the city. Founded in 1960, the object of the society is to “stimulate community interest in the beauty, history and character of Hove”. The society encourages high standards of architecture, town planning and conservation; monitoring all new planning applications. Protecting the individuality of Hove, within the wider Brighton & Hove context is important to the society; as is maintaining and improving the environment. White Rabbit is keen to give back to the local community. Providing time and resources to local projects that improve and better the environment for all. 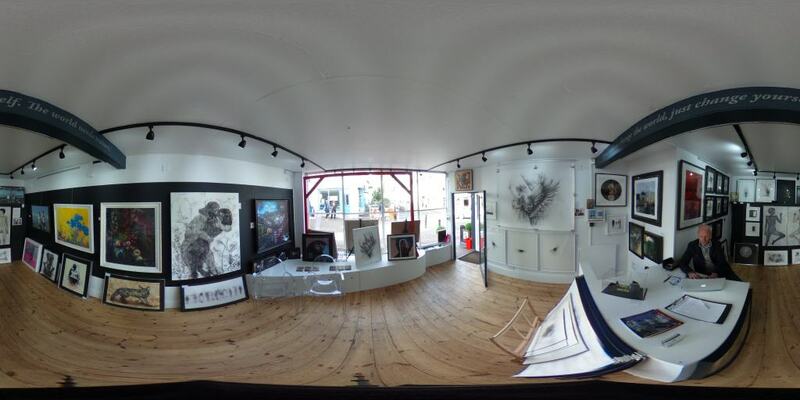 Take a look inside some of Brighton’s hottest art galleries, right from your sofa! 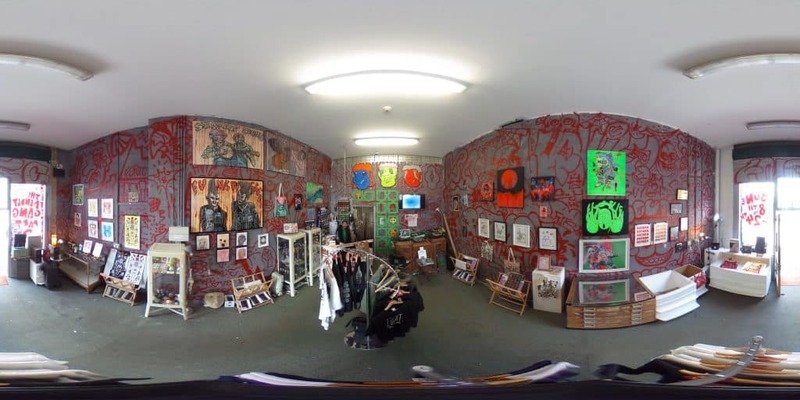 That’s right, some more Google Street View 360 photos from White Rabbit, for local businesses in Brighton & Hove. 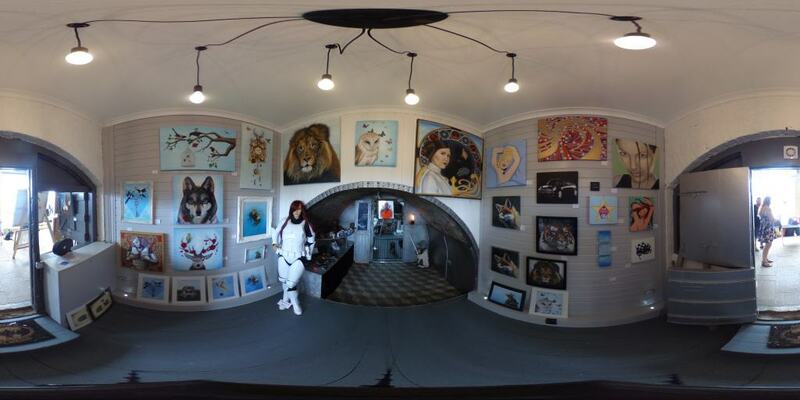 As a Google Street View Trusted Pro, White Rabbit has been offering local companies the opportunity to have a 360 degree photo of their business interior added to Google Street View. Follow this link to see some of the other local businesses that have capitalised on this marketing opportunity, read more and get your own Street View photo. Other venues in Brighton & Hove that have been part of this project and now have their very own Google Street View photo or virtual tour are Brighton Open Market, Yellowave Beach Sports Venue, Amici Pizzeria & Bar, The Warren, The Cheese Hut, Veeno Wine Café, Hove Plinth and The Flying Saucer to name a few. Putting Brighton’s Open Market on the (Google) Map! A regularly overlooked and yet truly fantastic part of Brighton – for shopping, eating or just hanging out – is the long standing and recently rebuilt Open Market in the bohemian London Road district. Until now this eclectic selection of local businesses was only visible if you actually visited the market in person, as of this week you can take a virtual tour of the whole market using Google’s Street View. Working with the new and dynamic management team at the market, who have an eye for a good marketing opportunity and understanding of how people now like to use the internet and truly explore an area before they decide to take a trip there. 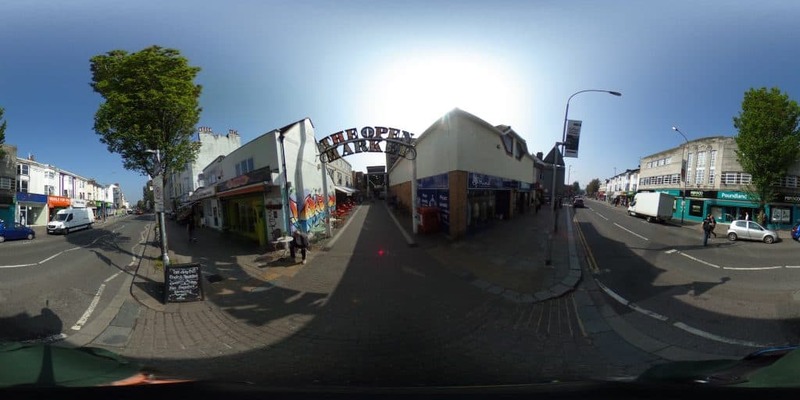 White Rabbit has created a virtual tour of the entire market, encompassing both the London Road and The Level entrances, the main market traders area, the upstairs studios and a few of the individual business units within. 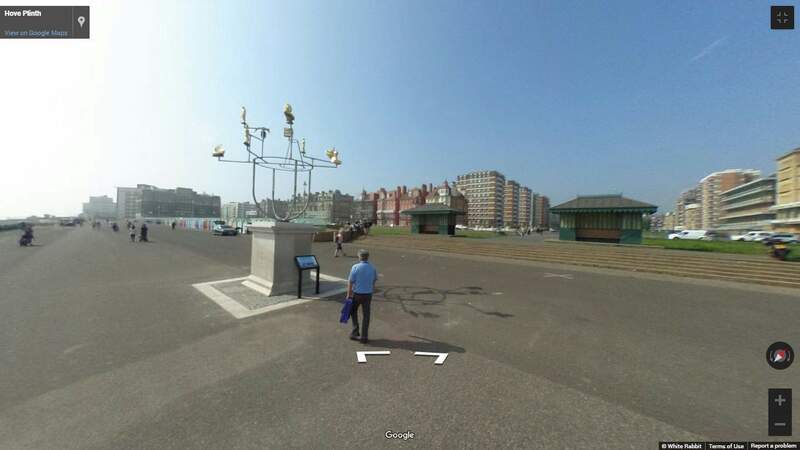 Other venues in Brighton & Hove that have been part of this project and now have their very own Google Street View photo or virtual tour are Yellowave Beach Sports Venue, Amici Pizzeria & Bar, The Warren, The Cheese Hut, Hove Plinth, Art of Treason, The Flying Saucer and Veeno Wine Café to name a few. It was an early start, to catch the market before it filled with punters and see most of the market traders setting up their stalls with interesting and enticing wares. Blessed with a sunny day made the whole experience a delight to be a part of. Best wishes and good luck to the new management team at Brighton Open Market!